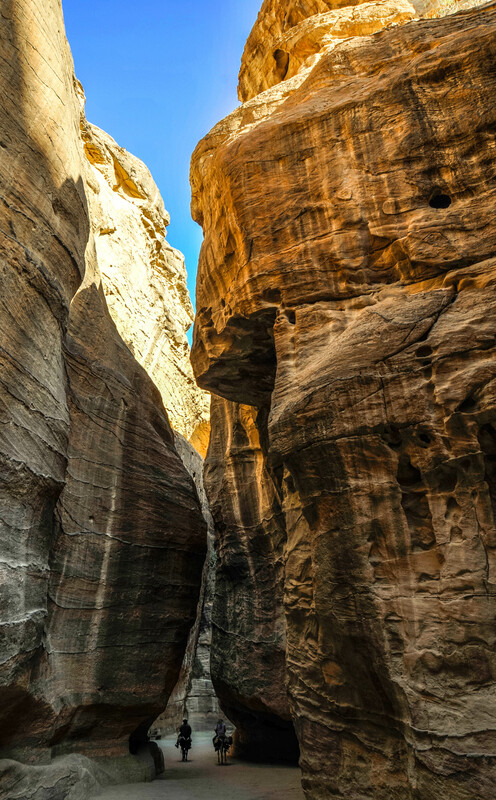 When visiting Petra, go early, not just to miss the crowds but for the quality of the light. This is a view of the ‘Siq’ – the long narrow gorge that eventually opens out to the dramatic and famous view of the Treasury. It was early, but as you can see, we weren’t the first.